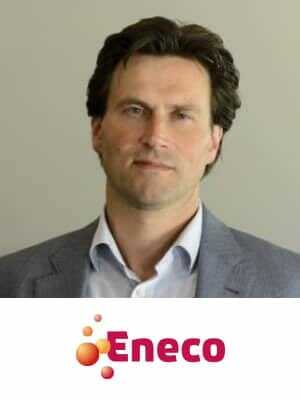 Dirk-Jan Middelkoop has been working at Eneco for 16 years, in multiple positions in Marketing, Sales and Innovation in BtC and B2B. The last years he was in charge for Innovation and Product Management at the B2C division. He was responsible for successful projects as the Wi-Fi-connected thermostat Toon, smart charging app for e-cars and leading position in the residential solar market of Eneco. He started his career at a small specialized solar energy consultancy firm as a research analyst. Later he joined PwC/IBM as a utilities Consultant. Dirk-Jan studied Business Economics at Erasmus University in Rotterdam. He is an expert in preparing, developing and introducing innovative and complex products to market. Dirk-Jan is the co-founder of CrowdNett (a virtual power plant based on homestorage) which was introduced in the Netherlands in Q4 2016, and now starts to enter other European countries.